If she didn't know before, she certainly knows now. We hope. Comedian Jess Hilarious has been getting her a-- handed to her on social media. She's being accused of being just as racist and bigoted as those who hate blacks and Christians. Her cringey comments after a flight debacle and why folks still aren't here for her, inside. She's made her way from being an Instagram comedian to actual acting roles on tv and stand up gigs in Vegas. 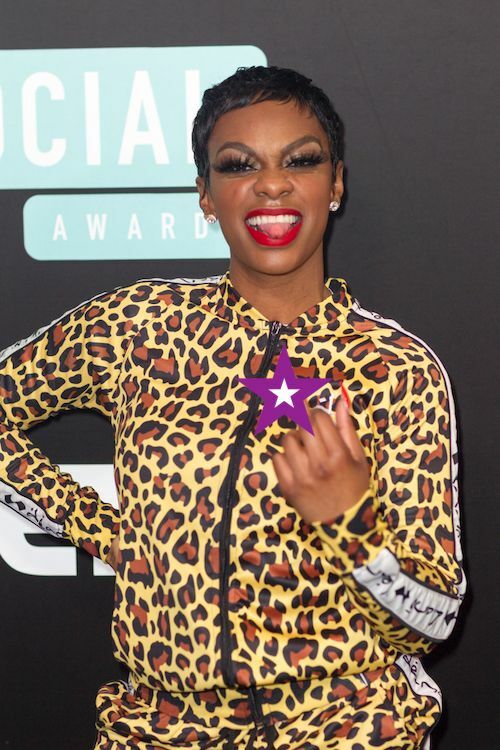 Jess Hilarious, who starred on "Wild N Out" and now Lil Rel Howery's show "Rel," was catching a flight a few days ago when she decided to make a few IG videos on her large platform blasting a few turban-wearing passengers. The 2019 BET Social Awards host remarked that she was scared for her life because of their "appearance," called them Muslims, and was quite unapologetic about it all. Coincidentally, right after she made these videos, the plane was "evacuated". When the passengers were allowed to re-board, those four passengers weren't on. This made Jess believe she had a valid point, but folks quickly reminded her it's likely because others on her flight had equally ignorant, xenophobic and Islamophobic complaints. Shutting up is always an option when you’re not informed on certain topics. Google is also a free resource. So apparently @jess_hilarious wasn't the reason these men were removed from the plane. This doesn't change that she was ignorant and Islamophobic. It's always a bad time to be that way, but this is particularly a bad time. Yes, she's a comedian. But assuming anyone who wears a head wrap is trying to kill passengers on a plane wasn't a laughing matter to folks. It didn't help that the passengers were not even Muslim. They were, in fact, Sikhs. Jess' apology seemed to be more of a reaction to the fact folks were dragging her instead of laughing with her. And she may not have fully grasped exactly who a Sikh is. To be clear: Sikhs, who are people born of the Sikh religion, are born in India. They practice the religion and values founded by Guru Nanak, and just like other humans with real values, they stand by victims of hate and do not praise it. While Sikhs wear turbans like many Muslims and also keep long flowing beards like Muslims, they are not Muslim (or even Hindu). They are, in fact, a separate people. Not everybody's feeling her apology though. Jess h*larious with the fake tears and a pity donation. I’m tired. How hard is it to just respect other people, be a good person and mind yours. Don’t reply. Thoughts? Are you forgiving her?